African Violet Society of Syracuse meets the second Thursday of the month, September–May, Pitcher Hill Community Church, 605 Bailey Road, North Syracuse. 315/492-2562; kgarb@twcny.rr.com; avsofsyracuse.org. Bonsai Club of CNY (BCCNY) usually meets the second Wednesday of the month at 7pm, Pitcher Hill Community Church, 605 Bailey Road, North Syracuse. 315/436-0135; lnewell1@gmail.com; cnybonsai.com. Central New York Orchid Society meets the first Sunday of the month, September–May, St. Augustine’s Church, 7333 O’Brien Road, Baldwinsville. Dates may vary due to holidays. 315/633-2437; cnyos.org. Federated Garden Clubs NYS – District6. April 16–18: Flower Show School – Course 3, see Calendar (below). October 14–16:Flower Show School – Course 4, see Calendar (below). 315/481-4005; dist6fss@gmail.com. 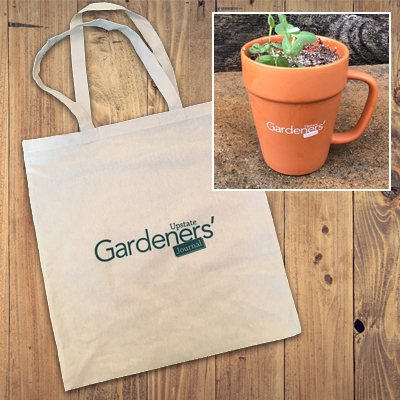 Gardening Friends Club meets the third Tuesday of the month, March–December, at 6:30pm, Wesleyan Church, 4591 US Route 11, Pulaski. 315/298-1276; Facebook: Gardening Friends of Pulaski, NY; VicLaDeeDa@frontiernet.net. Gardeners of Syracuse meets the third Thursday of each month at 7:30pm, Reformed Church of Syracuse, 1228 Teall Avenue, Syracuse. Enter from Melrose Avenue. 315/464-0051. Gardeners in Thyme (a women’s herb club) meets the second Thursday of the month at 7pm, Beaver Lake Nature Center, Baldwinsville. 315/635-6481; hbaker@twcny.rr.com. Habitat Gardening in CNY (HGCNY) meets the last Sunday of most months at 2pm. Northern Onondaga Public Library, North Syracuse Branch, 100 Trolley Barn Lane, N. Syracuse. HGCNY is a chapter of Wild Ones: Native Plants, Natural Landscapes; wildones.org. March 31: Vultures with Jim D’Angelo. Free and open to the public. 315/487-5742; info@hgcny.org; hgcny.org. Home Garden Club of Syracuse usually meets the first Tuesday morning of the month. 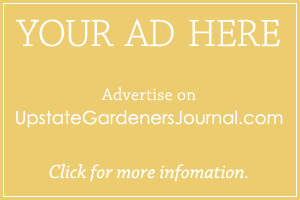 Members are active in educating the community about gardening, horticulture & floral design and involved with several civic projects in the Syracuse area. New members welcome. homegardenclubofsyracuse@gmail.com; homegardenclubofsyracuse.org. Koi and Water Garden Society of Central New York usually meets the third Monday of each month at 7pm. See website for meeting locations. 315/458-3199; cnykoi.com. Men and Women’s Garden Club of Syracuse meets the third Thursday of the month at 7:30pm, Reformed Church of Syracuse, 1228 Teall Avenue, Syracuse. 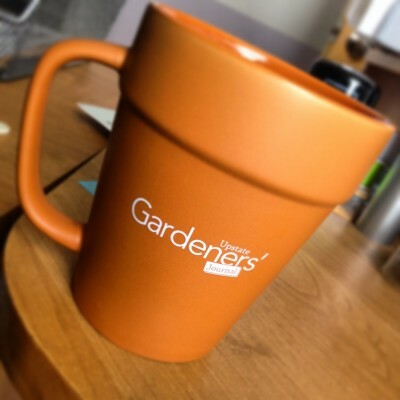 Meetings feature guest speakers on a variety of gardening and related topics. Members maintain gardens at Rosemond Gifford Zoo & Ronald McDonald House. Annual spring & fall flower shows. April 27: Spring Gardening Seminar, see Calendar (below). 315/699-7942; Facebook. Southern Hills Garden Club meets the third Tuesday of each month, February–November, LaFayette Community Center, 2508 US Route 11, LaFayette. Some meetings are off site. Cathy Nagel, 315/677-9342; cen42085@aol.com. Syracuse Rose Society meets the second Thursday of the month (except December) at 7pm, Reformed Church of Syracuse, 1228 Teall Avenue, Syracuse. Enter from Melrose Avenue. Club members maintain the E. M. Mills Memorial Rose Garden, Thornden Park, Syracuse. Public welcome. syracuserosesociety.org. BWNC: Baltimore Woods Nature Center, 4007 Bishop Hill Road, Marcellus, NY 13108. 315/673-1350; Facebook; baltimorewoods.org. CCE/OND: Cornell Cooperative Extension, Onondaga County, Suite 170, 100 South Salina Street, Syracuse. 315/424-9485; ksb96@cornell.edu; cceonondaga.org. F- Indicates activities especially appropriate for children and families. April 16–18: National Garden Clubs Flower Show School – Course 3. Hosted by Federated Garden Clubs of NYS, District 6 Judges Council. Location: Dewitt. Registration required. Sharon Vazquez, 315/481-4005; dist6fss@gmail.com. April 27: Spring Gardening Seminar, 8:15am–12pm. Eyecatching Color. Kerry Ann Mendez will present Remarkable Perennials, Flowering Shrubs and Annuals for Non-Stop Colorand “Attractive” Landscapes for Pollinators and Homeowners!Plants, books, raffles. Breakfast included. Location: Ballroom at Drumlins, Syracuse. Presented by Men and Women’s Garden Club of Syracuse. $45 members; $50 non-members. Registration required. 315/428-8256; mwgardenclubofsyracuse@gmail.com. S- June 15:Herb & Flower Festival, 9am–2:30pm. Shop a wide variety of vendors. Gardening advice available. Cornell Cooperative Extension, Oneida County, 121 Second Street, Oriskany. 315/736-3394 x125; cceoneida.com. T- June 28–29: Skaneateles Art, Music & Garden Tour. Self-guided tour of six gardens with artists, musicians & flower arrangements in each garden. Tickets @ cnytix.com: $23 May 1–June 25; $25 after June 25. Tickets June 28–29: Presbyterian Church, 97 E. Genesee Street, Skaneateles. Presented by Skaneateles Garden Club. Facebook. July 17–18: Bus Trip to Cape Cod Hydrangea Festival. Travel to Sandwich, Massachusetts, for the festival as well as a visit to Heritage Museum & Gardens with 100 acres of trees, shrubs, designed gardens and lawns. Accommodations, Dan’l Webster Inn. Includes transportation, accommodations, one lunch, one breakfast, admission to museum & festival. $370 per person, double occupancy; $499 single. Advance registration required. Ballantyne Gardens, 4825 Hopkins Road, Liverpool. 315/453-0621; ballantynegardens.com. October 14–16:National Garden Clubs Flower Show School – Course 4. Hosted by Federated Garden Clubs of NYS, District 6 Judges Council. Location: Dewitt. Registration required. Sharon Vazquez, 315/481-4005; dist6fss@gmail.com. Hi, I am trying to share the Summer Solstice Garden Tour and Craft Sale info-event is June 24 in Marcellus at Sycamore Hill Gardens. Thank you. Central New York Land Trust’s Summer Solstice Garden Tour takes place on Sycamore Hill Garden’s stunning private grounds, not regularly open to the public. Garden tours, nature-inspired crafts for sale, children’s activities, and live music by O-ryon and Colleen Kattau promise a fun day for the whole family. Bring your own picnic or purchase food from Chicken Bandit Food Truck & Eatery to enjoy a picnic lunch in the gardens, but please note, no pets. Event is rain or shine. Plenty of free parking. Crafts, music, food, beautiful gardens – all we need is you! Thank you for your support of Central New York Land Trust’s annual fundraiser! I have just a few African violet plants that, up until just recently, have been a wonderful part of my home color. The past couple of months I have noticed some tiny, white sawdust looking stuff in the leaves and they just don’t seem to be flowering as lovely as before. Could you please tell me what this is, is it some type of mite/disease and what should I do about it. I just love watching these plants flower, especially in the Winter months. It adds such sunshine to my days. Here is the African Violet Society’s website: http://www.avgss.org. It does sound like mites. I have very little experience with AVs but I know they are prone to cyclamen mites. If I were you I’d get a hold of the people at the Violet Barn. They will probably be able to help. Deadline for Calendar Listings for the next issue (May-June 2019) is Friday, April 5, 2019. 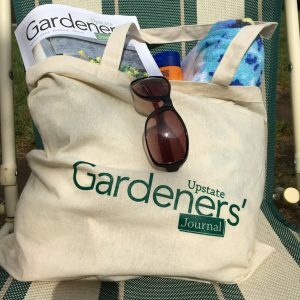 Please send your submissions to deb@upstategardenersjournal.com.